The soulful singer spent October 14, his 37th birthday, recording a taping of PBS’ concert series “In Performance at the White House.” He and his bride Grace were chatting with President Barack Obama and First Lady Michelle Obama when they surprised him by singing “Happy Birthday” and presented him with a cupcake topped with a single candle. The former “The Voice” coach seemed humbled — and in total disbelief — by the experience, at one point, turning to the videographer and asking, “Are you getting this? Along with Usher, Queen Latifah, Smokey Robinson, and Esperanza Spalding also performed at the White House for the concert series. See the Obamas serenade Usher in the video above. Music impresario Jay Z has launched Tidal — positioned as an ad-free, high-quality streaming-music subscription service priced starting at $10 per month — with the participation of numerous big-name artists including Alicia Keys, Beyoncé, Chris Martin of Coldplay, Usher, Nicki Minaj, Rihanna, Kanye West and Madonna. In January, Jay Z acquired Sweden-based Aspiro for $56 million. The artists announced onstage at the New York event Monday were introduced as co-owners of the company, representing the first artist-owned digital-music service — as opposed to companies like Spotify and Pandora. Tidal will not offer a free version of the service; the standard-audio version (Tidal Premium) will be $9.99 per month and the high-def audio version (Tidal HiFi) will be $19.99 per month. Both tiers are free to try out for 30 days, according to the company. Tidal says it provides a library of more than 25 million tracks, 75,000 music videos and curated editorial articles. The service is available across iOS and Android devices, as well as in Web browsers and desktop players, available in the U.S. and 30 other countries at launch. Tidal provides streaming quality at more than four times the bit rate of competitive services, according to the startup. 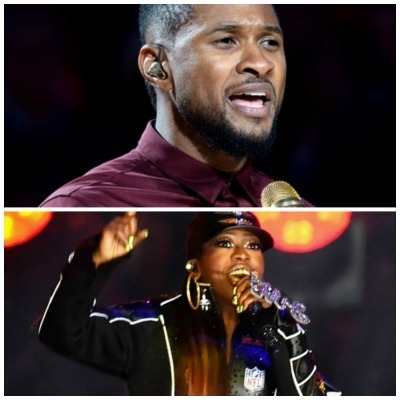 Usher and Missy Elliott were both added to the Essence Festival lineup. This comes after a first round of entertainers were chosen, according to the Singersroom. Elliott and Usher are joining R&B/soul artists Mary J. Blige, Erykah Badu, Floetry, India.Arie, Elle Varner, Kelly Price, Tweet, Tank, Raheem DeVaughn and many more who have been confirmed for the 21st annual celebration. Hip-hop artists Kendrick Lamar, Common, Slick Rick, Kool Moe Dee, Doug E. Fresh and Mystikal were also confirmed. Comedian Kevin Hart is headlining the “Now Playing” Concert on the first night. The festival will be on July 2 – July 5 in New Orleans, La. “On the heels of the ESSENCE Festival’s epic 20th anniversary celebration in 2014, we’re delighted to announce a selection of the best artists and biggest names in entertainment who will take the stage at the Superdome this summer,” Essence President Michelle Ebanks said in a press release. “From first-time Festival performer Kendrick Lamar to return appearances from fan favorites like Kevin Hart, Common and Mary J. Blige, the ESSENCE Festival offers the definitive entertainment and cultural experience for our passionate ESSENCE community every Fourth of July weekend,” she added. The event, which will also feature performances from Coldplay‘s Chris Martin and Ed Sheeran, will take place at the Nokia Theatre L.A. LIVE in Los Angeles on Feb. 10. The concert is scheduled to be held two days after the 57th annual Grammy Awards. Wonder’s history with the Grammys is a stellar one that includes receiving 25 Grammy Awards during his career. Tickets for “Stevie Wonder: Songs in the Key of Life — An All-Star Grammy Salute” are currently on sale. The show is set to air as a two-hour special Feb. 16 on CBS. It’s been 5 years since Michael Jackson died. Five. There have been constant tributes, celebrations and memorials since that shocking June 25th in 2009, when we collectively learned that one of the most undeniable musical forces ever to walk the Earth was no longer with us. So it’s not like there hasn’t been time to process the reality and finality of his passing – but for me (and I know I’m not alone), as every year passes, Michael’s death hits harder and harder. I love that his music and legacy live on not only in his family and children, but also in every (and I do mean every) modern entertainer alive today. Usher, Justin Timberlake, Justin Bieber, Jason Derulo, NeYo, Bruno Mars, Chris Brown, Beyoncé… who among them doesn’t echo Michael in their movements, their singing, their showmanship? But when I hear the posthumous Jackson album “Xscape” from earlier this year – which, even though critically referred to as “B” level Michael, is better than most pop music currently out there – or a current song that sounds like it could have been a Michael song (see Timberlake’s “Take Back The Night”), the totality of his loss is all the more evident. There is comfort in the fact that he existed at all and gave us a lifetime filled with thrilling, soul-stirring and oft-emulated art via dance and song. And according to the Orlando Sentinel, today, on what would have been Jackson’s 56th birthday, he is being remembered in different ways around the world. Cirque du Soleil in Las Vegas has launched the #MJWeAreOne campaign in conjunction with MichaelJackson.com. Fans worldwide are urged to use Instagram by sharing videos — using the hashtag #MJWeAreOne — honoring MJ and sharing ideas of how to make the world a better place. The MJ Global Party has fans celebrating Jackson’s birthday in live-time around the world using the hashtag #MJGBP2014. Check out the website here. The fifth annual Michael Jackson Tribute Festival of the Arts is underway in Jackson’s birth home of Gary, Indiana. The three-day festival celebrates Jackson’s life and career while helping revitalize part of Gary. So on this day, remember the King of Pop in your own way. Listen to your favorite MJ song. Watch your favorite Michael video for the thousandth time. Below I’m posting one of my all-time favorite Jackson songs and videos, the John Singleton-directed “Remember The Time” and I know I’m going to shake my head (for the thousandth time) when Magic Johnson says “Behold, great Pharoah Ramses!”, laugh (for the thousandth time) when Eddie Murphy’s eyes bug out at Iman crushing on Michael, stare in awe (for the thousandth time) at the dance moves, and lose it (for the thousandth time) when Michael sings the “Rah dah /dah dah dah / What about us, girl? !” part because it is just so uniquely Michael, uniquely musical and uniquely inspiring. According to Variety.com, more than 1,400 guests at the 4th Annual Spring Break: Destination Education fundraiser held at Sony Studios on Saturday helped raised $1.5 million. 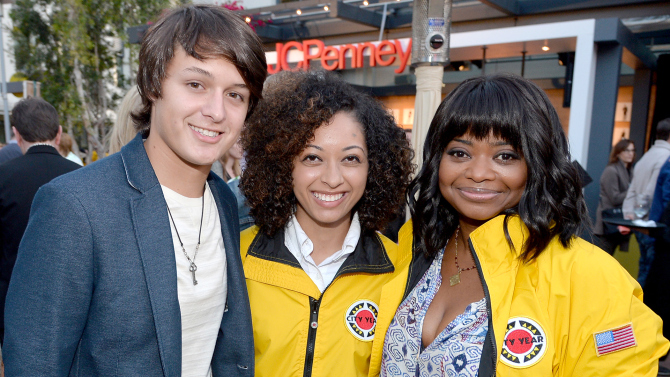 The money benefits City Year, an organization that strives to keep kids in high school until they graduate. Spencer said she has visited some of the 22 schools that the program reaches in Los Angeles and loves the work they’re doing. “Education unlocks the keys to all of life’s doors. You don’t have to be rich, you don’t have to be of a name, you just have to have that foundation. It’s all about giving kids that foundation,” she said. The packed event featured games for kids and adults, including an E! News booth contest trying to win the opportunity to introduce musical guest Aloe Blacc who performed later in the evening. Others showing their support included: Aaron Paul, Betsy Brandt, Diego Boneta, Jason Bateman, Jenna Elfman, Minnie Driver, Sean Hayes, Timothy Olyphant and Usher. Grammy Award-winning producer/musician Pharrell Williams will join NBC’s singing competition The Voice next season, the show announced on Twitter. He replaces original coach CeeLo Green who recently announced his departure. “It’s been a huge year for Pharrell, with recognition for his contribution in the world of music — the ‘Despicable Me’ franchise soundtracks, his Oscar-nominated song ‘Happy’ and his Grammy-winning collaboration with Daft Punk on the breakout dance hit ‘Get Lucky.’ His dominance in record sales in 2014, coupled with his incomparable accomplishments in the world of fashion and design, make him an irresistible addition to ‘The Voice’ family,” said Paul Telegdy, President, Alternative and Late Night Programming, NBC Entertainment. Said executive producer Mark Burnett: “I am thrilled to have Pharrell come back to ‘The Voice’ family, and this time … as a coach. Continuing in ‘The Voice’ tradition of having the biggest and most current music stars as coaches, Pharrell fits perfectly.” Pharrell, who was previously an adviser to team Usher on season four of “The Voice,” is a multi-platinum and international singer-songwriter, producer and fashion designer. Usher Raymond is on double movie duty with his credit as executive producer of the upcoming education documentary Undroppable, as well as his role in Hands of Stone as legendary boxer Sugar Ray Leonard. The project, written and directed by Jason Pollock, will explore the dropout epidemic in the U.S. educational system with direct feedback from American students. The film will be supported by a social media/video campaign that will allow them to discuss the issues they face in school. Undroppable will be completed this year for a 2014 release.